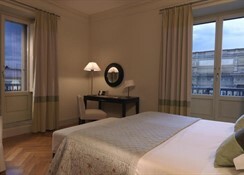 The superb 5 star luxury hotel Savoy is the best choice to have the opportunity to enjoy the true experience of the elegant city of Florence. 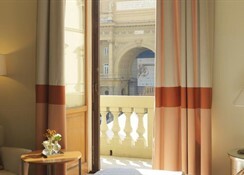 The hotel is in Piazza della Repubblica, a stone thrown from the Duomo and a short walk from the Uffizi Gallery and Ponte Vecchio and the stunning Piazza della Signoria. 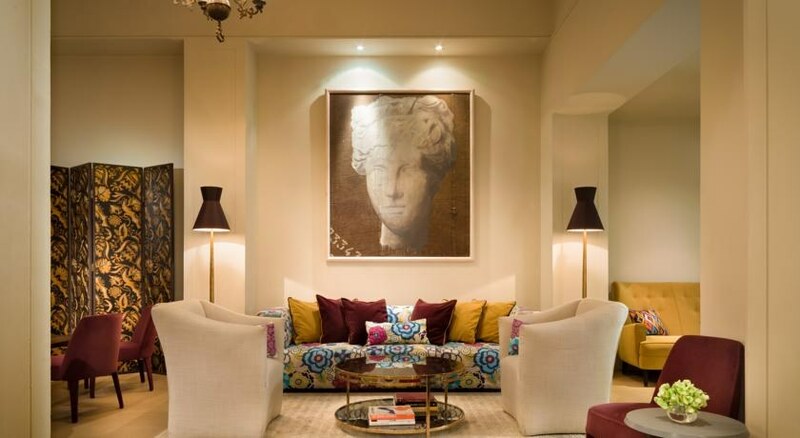 Each of the 102 rooms of the Savoy is decorated with neutral tones with a contemporary touch and a meticulous attention to the choice of ceramics, artworks and fabrics. 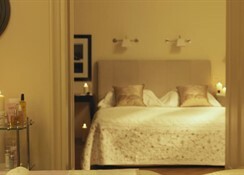 The comfortable beds are adorned by crisp and fresh linen sheets and floors are parquet. 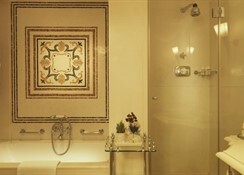 A particular attention is reserved to bathrooms, in white or brown marbles, with their special mosaics. Throughout the hotel walls quirky prints of shoes are the most charming reminder to the Florentine artisans who have made this city famous all over the world. 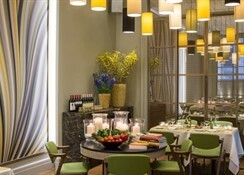 A two Michelin starred chef is the ace in the hole of the L'Incontro restaurant, another reason to choose Hotel Savoy. A terrific fitness centre will give clients the possibility to keep fit even away from home. 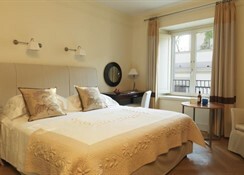 Hotel Savoy is the perfect starting point to discover the city of Florence.